This past week in chapel, Pastor Carl Muller of Trinity Baptist Church, Burlington, ON, brought us the Word of God with a focus on the Christian and joy. It was a good reminder of what the inward and outward disposition of the Christian is to be! 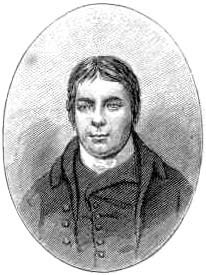 Andrew Fuller also wrote on the issue of the Christian and joy. In a circular letter of 1795 (titled, “Why Christians in the Present Day Possess Less Joy than the Primitive Disciples”) Fuller discusses the reasons why Christians do not experience joy and some solutions for the problem. The quote from this letter can be found in the Works, III:330. This entry was posted on Sunday, April 1st, 2007 at 1:55 pm and is filed under Andrew Fuller, Joy. You can follow any responses to this entry through the RSS 2.0 feed. You can leave a response, or trackback from your own site.